It’s always exciting here at the Inkwell when one of our own has a debut novel and we get to spend the week celebrating. I am so excited to be part of the celebration for Dina Sleiman’s novel Dance of the Dandelion published by Whitefire Publishing. If you don’t already know, Dance of the Dandelion is a work of inspirational fiction, set in Medieval England. Dina is a multi-faceted woman who both inspires and fascinates me. In part it’s the wisdom and beauty in her blog posts, in part her poetic nature, and in part it’s the love and joy that shines through her when she’s worshiping and celebrating through dance. Not surprisingly, these elements are infused throughout Dandelion. Since we’re in the party mood, I thought it would be fun to set a party scene that goes along with Dina’s book – let’s celebrate at a Renaissance Faire! Dina, of course, will be the princess, since it’s her day. But I must say, I’d like to be at least the princess’s sister since I enjoy bathing on a regular basis and I don’t like wearing itchy, scratchy clothes. Once you decide if you want to be royalty, peasant, or perhaps a court jester, fill a platter full of your favorite food, fill your tankards with iced-tea (no grog allowed around here), and sit back while I ask Dina some questions about her book. Dina, your poetry is magical, and I absolutely love the poem at the beginning of the book. You incorporated a lot of poetry into this book. Can you tell us a little bit about this? I fell in love with poetry in college when I had teachers who really helped me to "get it." It's such a lovely form. I define it as the art of words. Like a sculptor uses clay or an artist uses paint, a poet uses words to create a work of beauty. After finishing my M.A. in Professional Writing, I continued to take M.F.A. classes in poetry through a local university. At the time, the head of their poetry department was a Christian man who helped me to understand how to properly convey spiritual themes through poems. He also taught me about the medieval mystics, who are now my very favorite poets. They had such amazing intimate relationships with Christ, and they inspired a collection of poems I wrote in 1999. Several of those poems were published in small journals. That is part of the reason I chose the medieval period for Dandelion. So it was only natural for me to include some of my poems. I changed them slightly to better fit the medieval form used by poets such as St. Francis of Assisi, St. Catherine of Sienna, Thomas Aquinas, and Hildegard von Bingen. Initially I used actual poetry by these historical figures, but I quickly realized there were too many issues with copyrights since I wanted to use contemporary translations. I also wrote some poetry specifically for the book in the style of the Islamic poet Rabia of Basri. You'll have to read the book to see how I incorporated that. As for the poem in the beginning, at first it was just part of a prologue. Due to some changes in the structure of the book, the editor and I decided the prologue wasn't needed. But I couldn't bear to lose that section. We decided I should rewrite it as a poem. I'm very happy with the results. I hope I'll be allowed to start all of my books with poems. Could you explain your "tagline" and the meaning behind it? My tagline is: Dance with Passion. Because I write in several genres, I wanted something that would really capture me. My first try was “Lyrical stories that dance with light.” I shared this with marketing expert, Jim Rubart, in a class one time. He said it was too long, and I should focus in on dance since that’s really different and interesting. I tried out “Dance with Passion,” and it worked. I’ve been leading dance worship ministries in churches for most of the last seventeen years, so dance has been a huge part of my life. For a long time, it was the way I best connected to God and entered into his presence. Dance provides an amazing opportunity to discover intimacy with Christ and to worship him with your whole being. To me, “Dance with Passion” means to seize life. To do everything with all your might and heart. It means to live free from burdens and hindrances and to flow in the Holy Spirit’s unforced rhythms of grace. I think this is the message that shines through all of my writing. Once I decided on the tagline, I dragged my husband to the beach for a photo shoot of me dancing along the shoreline. I then built my whole website around this concept. Jim Rubart heartily approved. LOL. Are there any more medieval books in your future? What I might do, is work on some YA medieval romances. Sounds like this would be a better market for the time period. And, it will allow me to make my characters younger, which is actually more historically accurate. My next project is actually a contemporary series. Book one is called Dance from Deep Within. It’s the story of a veiled Muslim, a blonde ballerina, and a bi-racial hippie chick. All three are returning college students. They meet over a group project on diversity and search together for meaning and truth. On one hand it is sort of issue driven, but at the same time, each girl has her own romance and story arc, which keeps the plot exciting. The genre is very different than Dandelion, but the themes are similar. In it I explore worship, intimacy with Christ, and inner-healing just like in Dandelion, only against a contemporary backdrop. I can’t wait to read it, Dina. Thank you so much for answering my questions today. I wish you much success with Dandelion, and with your writing career. In the meantime, I want readers to know that Dance of the Dandelion is lyrical, magical, and lovely. I didn’t want to stop reading, even when I’d reached the end. I’ll leave everyone with the scripture quote Dina used in her book, and a link where you can view some of her awesome dance and worship videos. Please feel free to ask Dina questions about her novel, and don’t forget to tell us which you would be at a Renaissance Faire? Very nice Suzie. Thanks for starting us out with The week of Dina. I think you not only presented Dina here but between the two of you, readers will get a lovely idea of what to expect from Dance of the Dandelion. I loved my visit to the medieval time and watching Dandy's world expand as she learned about herself, love and faith. We'll have a great time this week, culminating in next weekend's celebrations. 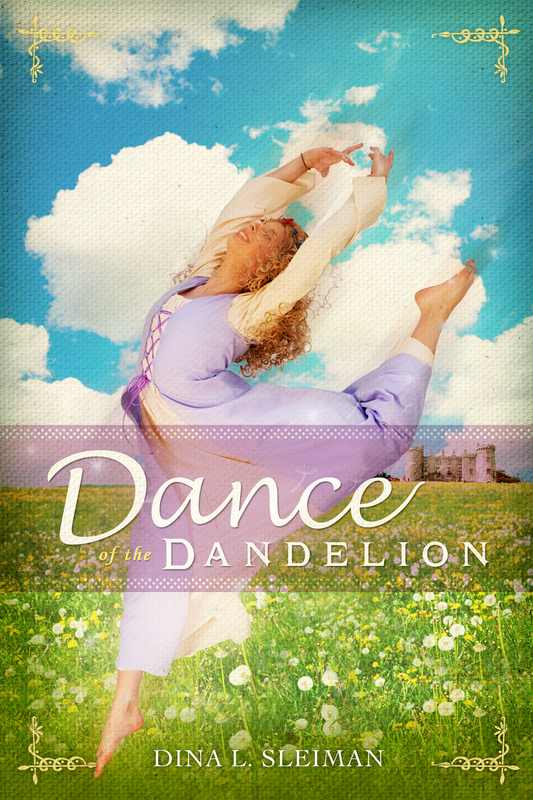 Readers, let us know if you'd like to be in the drawing for Dance of the Dandelion. Available in paperback and EBook format. Oh and definitely peasant, thanks for asking. I'll be the baker. Suzie, thanks so much for all of this. In the name of historical accuracy, though, I'll have to decline the iced tea. At least during the time of my book, there was no tea of coffee. We could have coffee at the Renaissance Fair, but I'm pretty sure that neither tea or ice would be around yet. If we can't break out the mead and wine, it will have to be a round of apple cider for everyone. I'm so excited that Week of Dina is finally here! I love these celebrations of our sisters' success!! I love the whole concept of this story. Dina, did Christy squeal when you gave her the "very first copy" of the book? What an exciting and wonderful time! Oh, and for Suzie's question. I think I'd like to be a lady in waiting. I get the nice clothes, but not the pressure to be queenly. Actually, Lisa, Dandelion spends some time as a lady's maid to the local countess. Good choice. And yes, Christi squealed when she got the actual first copy in her hands. Of course, she's sixteen and prone to squealing. yes m'lady. I'll have that sweet treat to ye right quick I will. Look at this. We make Dina princess for the day and she gets all uppity. Silly girl. Just for the record, I do know they didn't have iced-tea until the late 1800s, but it's one of my luxury items. So if I'm ever to time-travel, the tea goes with me. I really could not survive on coffee. But if it's apple cider, ye'd like, I'll just have our peasant get right on pressing those apples. Oh, Deb...? Oh wait. Bakers don't press apples. I beg your forgiveness, Deb. Lisa! Thank you for the lovely header for our Week of Dina. You are so incredibly talented. I wish I could have been there when Christi held that beautiful cover in her hands. Princess Dina, I'll make an exception, and seek out the vintner to see if there's any dandelion wine available. And since I'm getting good at ordering people around, Suzie, this quote would make a lovely amazon review. Hint, hint. Dance of the Dandelion is lyrical, magical, and lovely. I didn’t want to stop reading, even when I’d reached the end. I'll get right on that, M'lady. One Amazon review coming up. Will tonight be soon enough? I recently had to fill out a nametag for what the kids (mostly teens) at #1's homeschool group should call me. So difficult it was, trying to choose between "Your Royal Highness" and "She Who Must Be Obeyed." Yeah, make me the queen. Besides, if I can't have tea, I'll take the cider, but only if it has cinnamon, which I hear is too frightfully expensive for the peasants. You may be the queen with my blessing, CJ. And I'd go with "She Who Must Be Obeyed" for the official title. Dandelion is the perfect example of our human quest to find fulfillment--the spiritual void we were born with and meant to fill with the supernatural love of God. Can't blame a princess for trying. Meanwhile I just brag on books in my travels and comments. I never volunteer to be a reviewer or influencer but I enjoy the chance to yak it up. Three cheers for Princess Dina! Huzzah, huzzah, huzzah! Absolutely, Roseanna. A round of turkey legs for everyone. And CJ, cinnamon-spiced apple cider sounds wonderful. 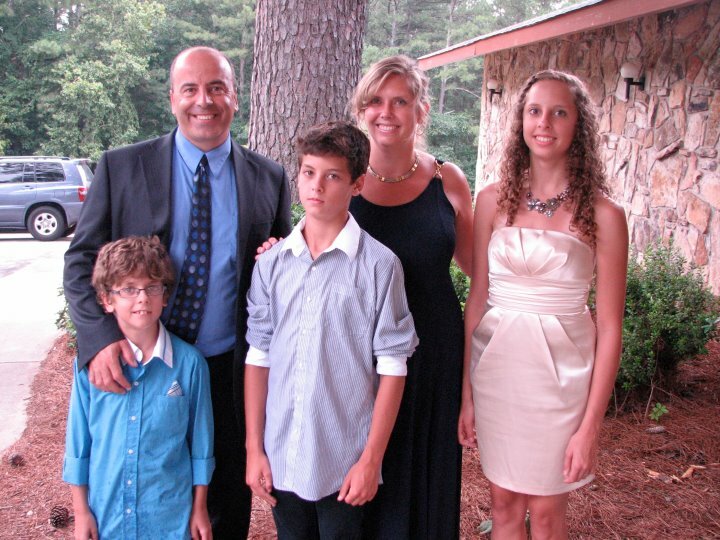 Dina, LOVE reading more about you and seeing your beautiful family!! I think it's wonderful you wrote this book out of your passion for dancing and writing and life - it shows:) And I think the picture of you as Princess is priceless!! I think I'd like to be a lady in waiting. I get the nice clothes, but not the pressure to be queenly. So, yeah, give me the velvets slashed with silk and laced with pearls, thank you so much. Just don't cut my head off. Laura, Suzie requested that picture special for the post and I rigged something out of pieces I found in my daughter's closet and from our church dance supplies. I actually made the headpiece for my daughter years ago to go with a Renaissance costume. DeAnna, your gown sounds lovely, and I think we can keep all heads in place today. Oh, and the velvet is a deep rose color with candlelight silk. And I have perfect little satin slippers with laces. Congratulations, Dina! Love the cover although I haven't read the book. Until Laura Frantz mentioned it, I thought the princess was your daughter in the outfit she wore for the cover. So cleaned off my specs, clicked on the photo to make it bigger and golly! that is you. Good shot! Great job with the post, Suzie. I've never been to a Ren Fair, but I have a hankering for stuffed partridge right about now. Some heavy, coarse bread on the side would add to the ambience if not the taste, right? I love coarse bread, Anita. Partridge sounds good, although I've never tried it. Meat pies are always popular at the castle. And did you ladies know that they ate salad in the medieval days? More what we would call "field greens." Fun post, Suzie! Lady Dina is a fascinating subject! Niki, we did a medieval feast when I homeschooled too. We did the trenchers, and even let the kids throw chicken wings on the floor. We made armor and surcoats and the girls made wimples. Then we had a jousting tournament on rolling office chairs. LOL. speaking of rolling, we've got a lot coming up this week and the celebration has just begun! Please let us know if you'd like to be in the drawing for Dina's book. Speak up! and make sure we can contact you when we draw your name next weekend (when we run out of turkey legs) Hopefully no one will get seriously injured when their wimple gets caught in a tree. I must get back to work baking. Tarts, trenchers, coarse bread. Whatever the ladies in the castle want. Very well deserved Dina. Congratulations on the release of the book. You pored yourself into this book for a long time and the results were great. Love you baby and you are my princess every day and not only this day. Well, Dani scores points with us on that account. What about you, Lady D? My apologies, everyone, for missing most of this day. I had a two hour drive each way, plus two hours at the doctor, and an hour to eat. I just got home and I'm sorry I missed so much of the fun. But thank you all for stopping by. Oh, Baker Deb, I'd really like some of that course bread, too. Is roasted partridge like cornish game hen? Very nice interview--and fabulous pictures!